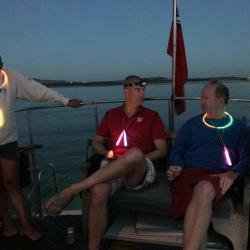 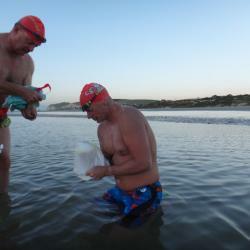 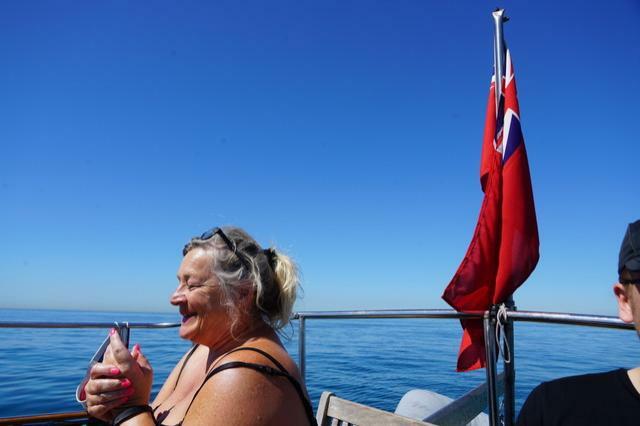 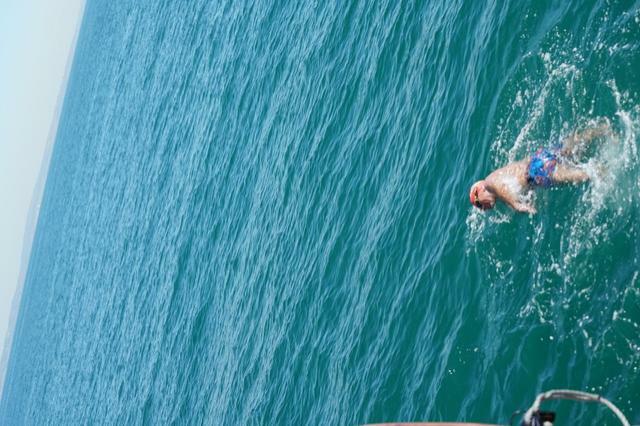 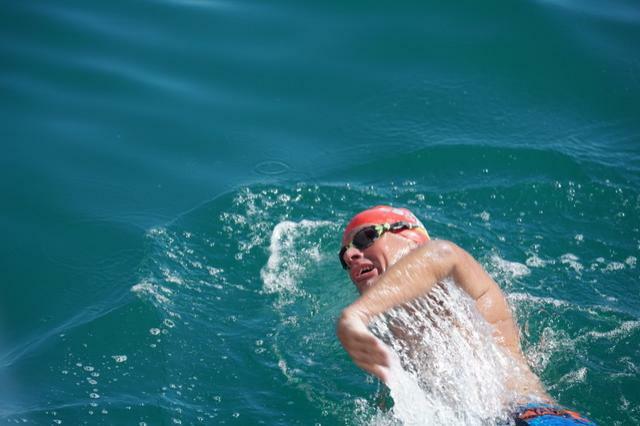 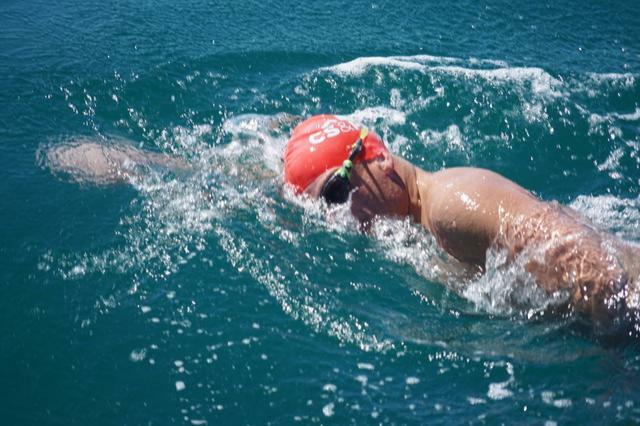 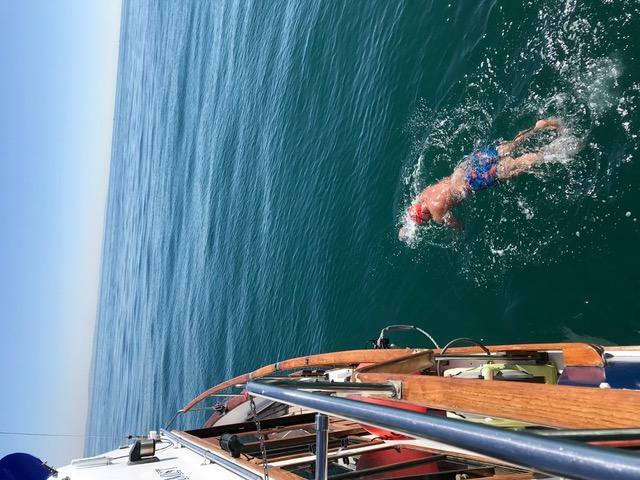 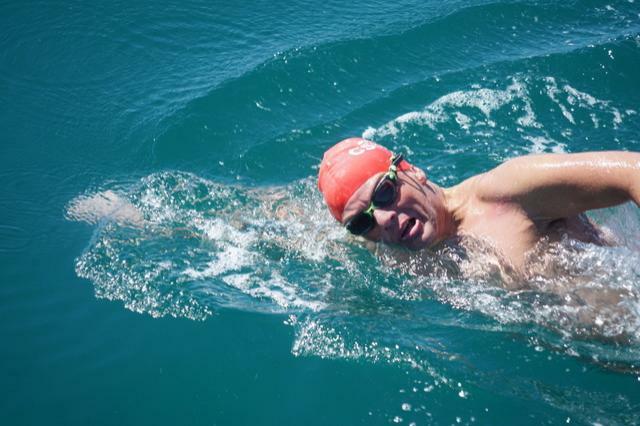 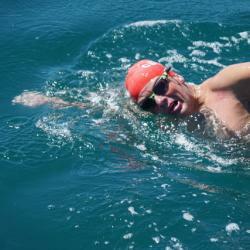 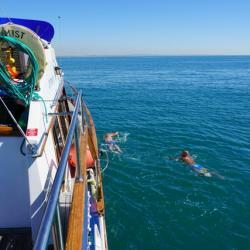 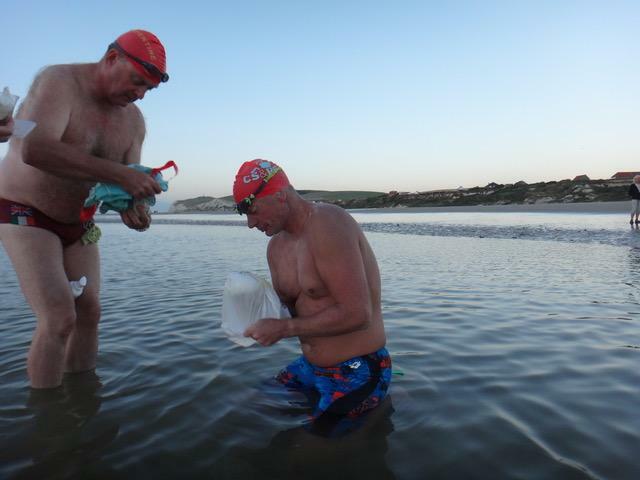 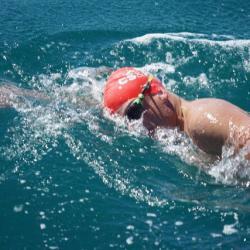 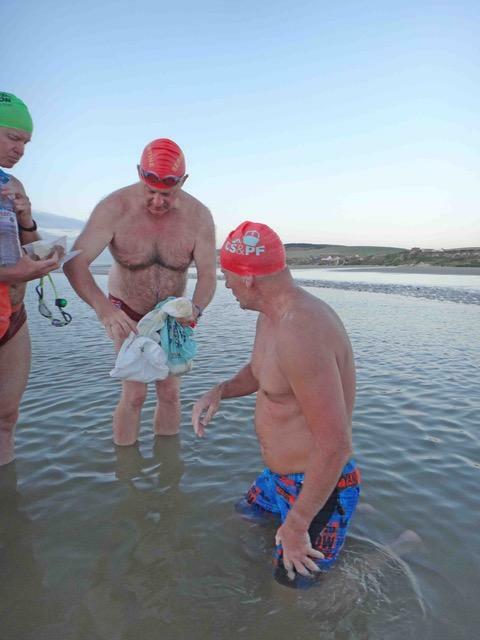 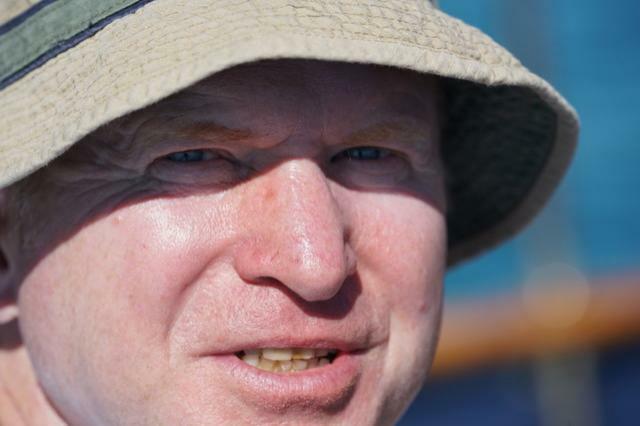 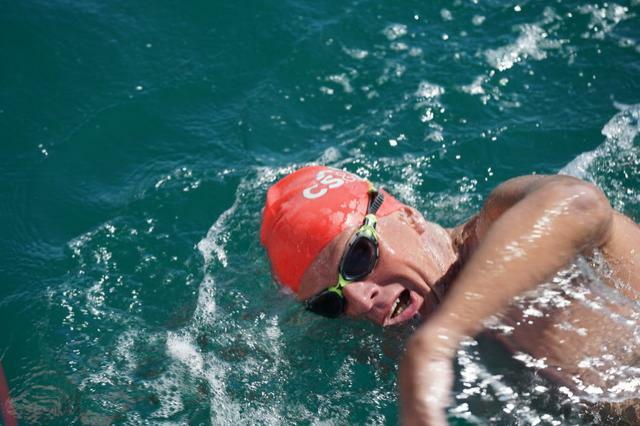 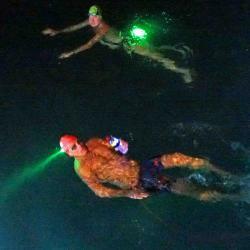 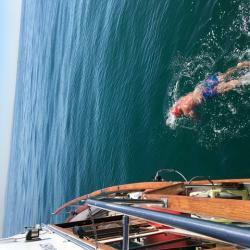 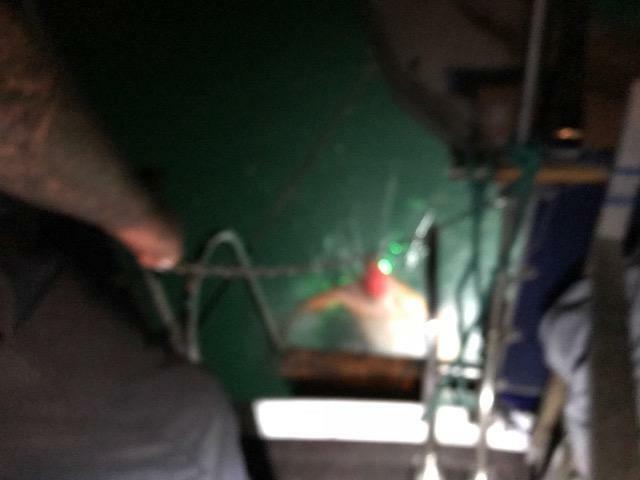 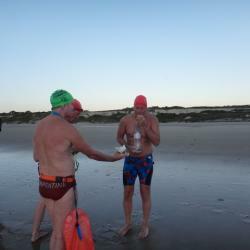 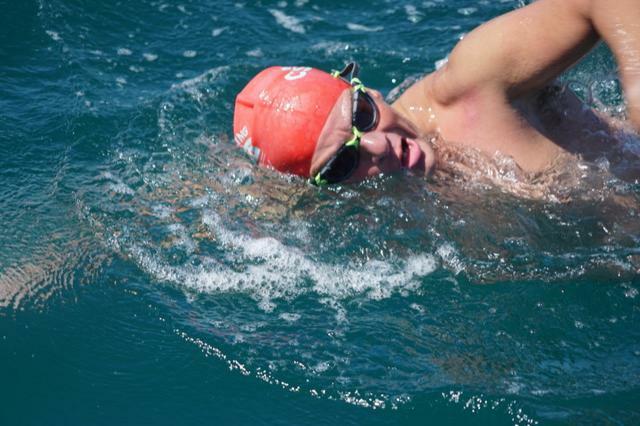 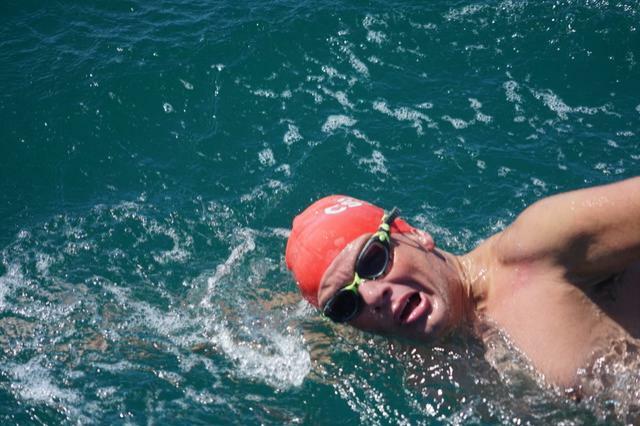 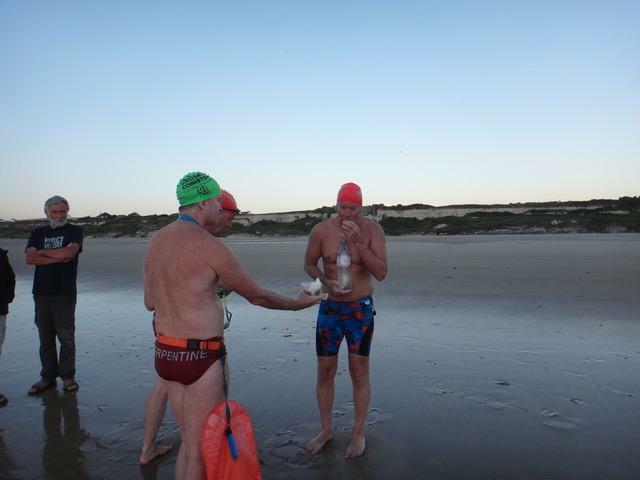 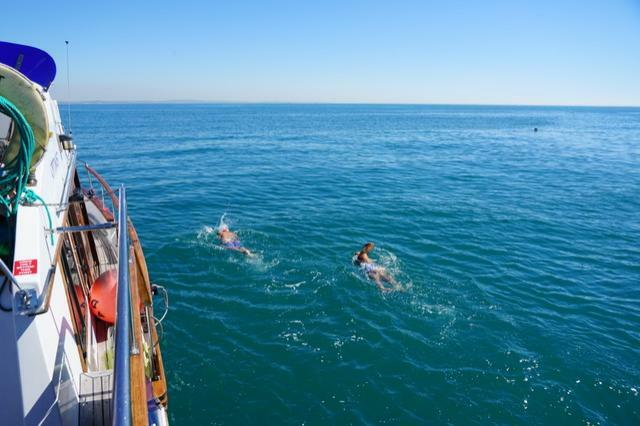 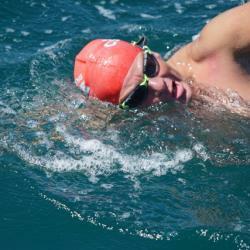 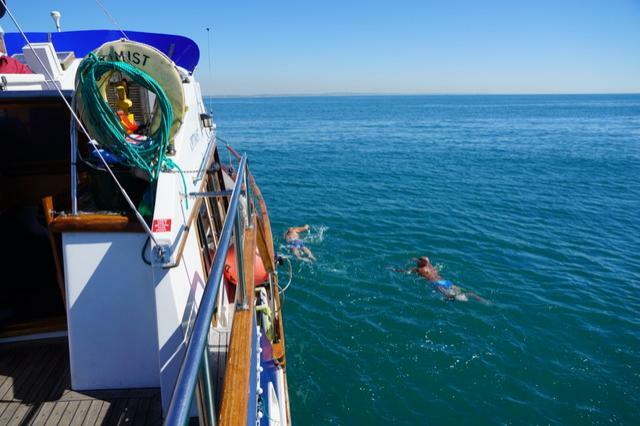 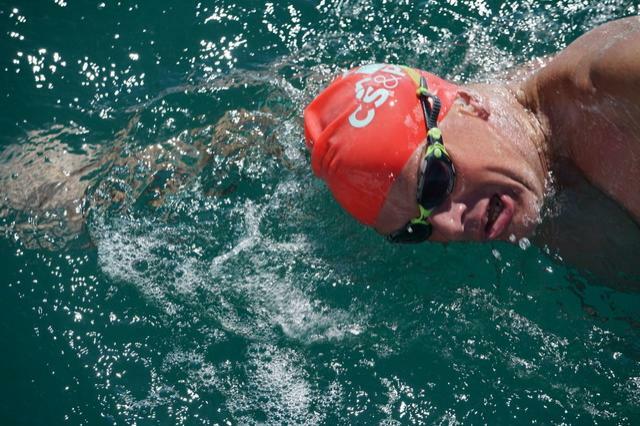 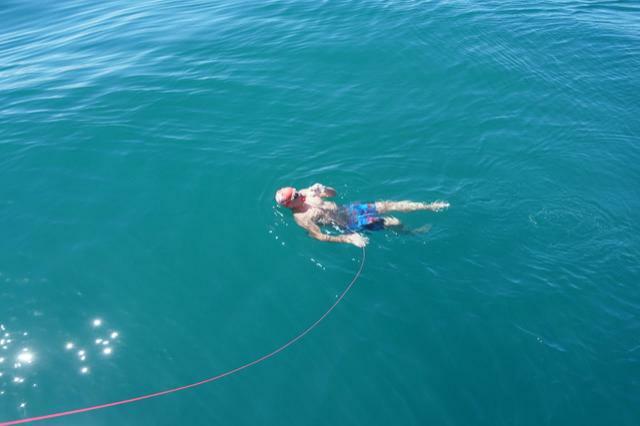 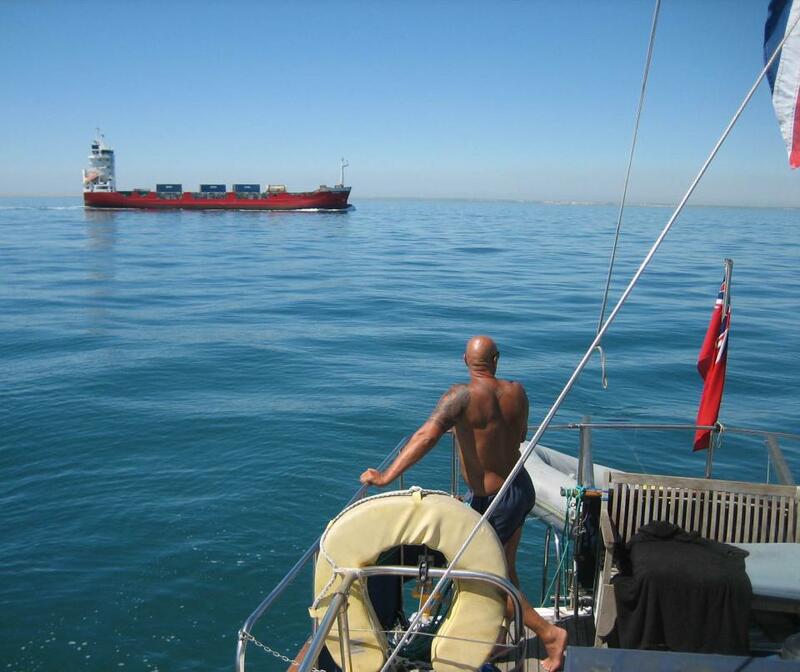 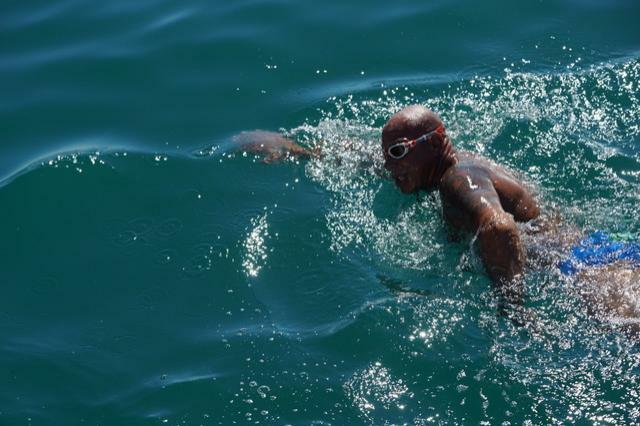 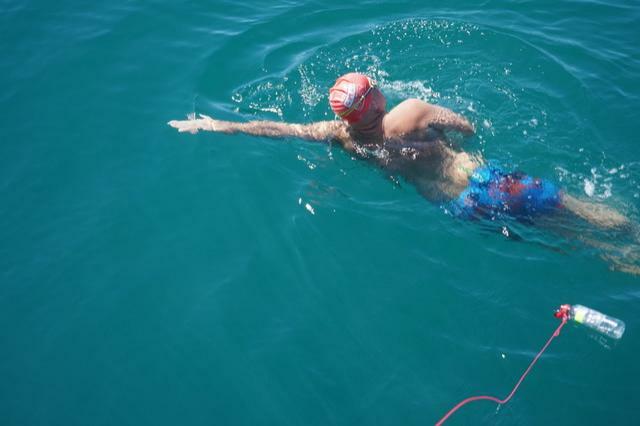 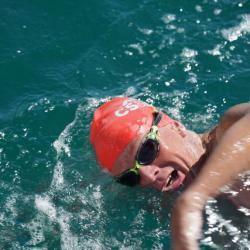 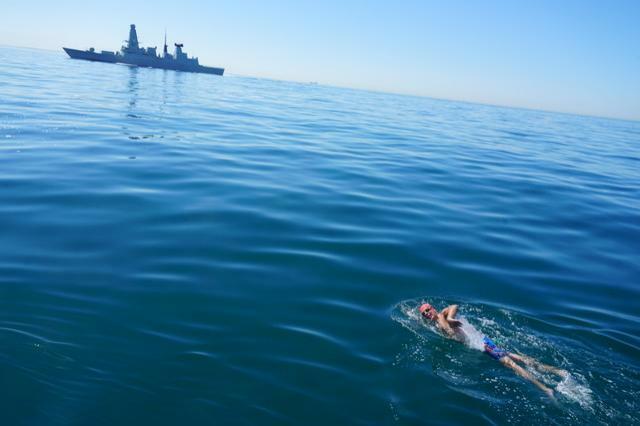 It was a privilege to have witnessed a close-up view of Stuart Bowman from the boat, as he successfully swam solo to France on Friday 3 August. 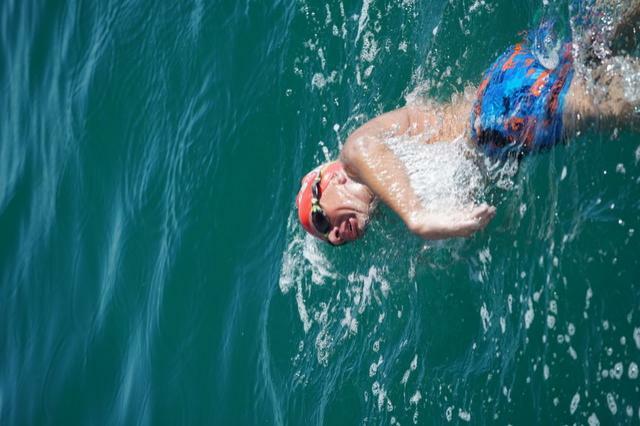 This was a characterful display of guts, determination and belief. 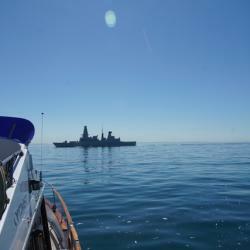 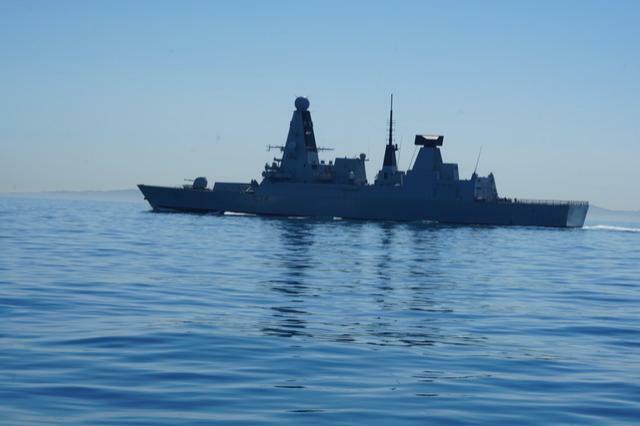 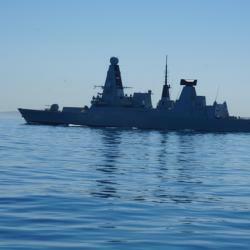 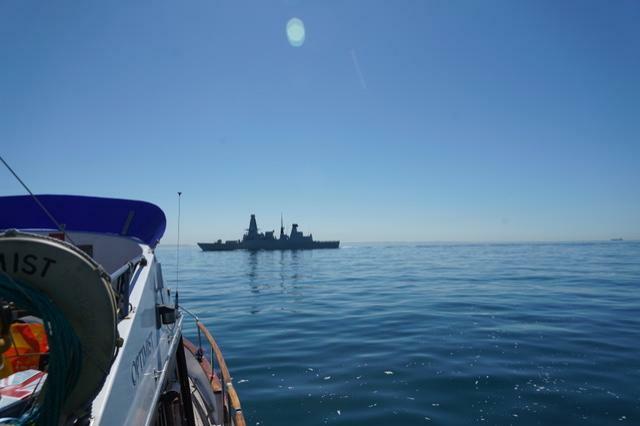 There was also a light moment when HMS Diamond, changed bearings when Stu was dead on course with the British Destroyer. 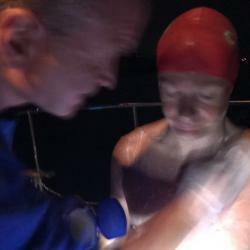 On this occasion might had right and fell to the Yorkshire man and Serpentine Swimming Club's finest StubMarine. 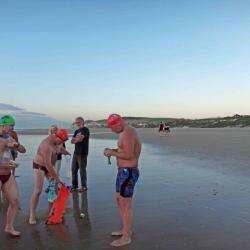 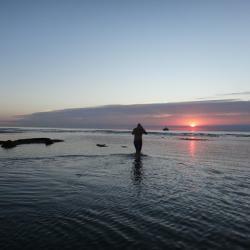 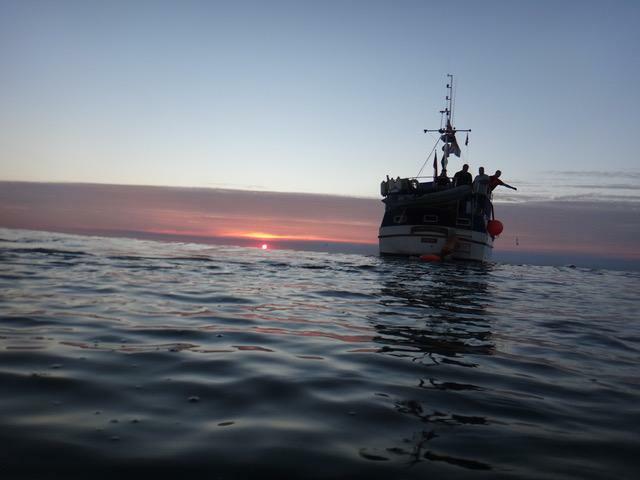 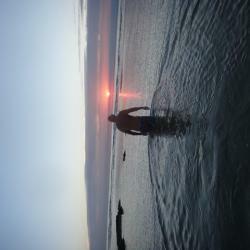 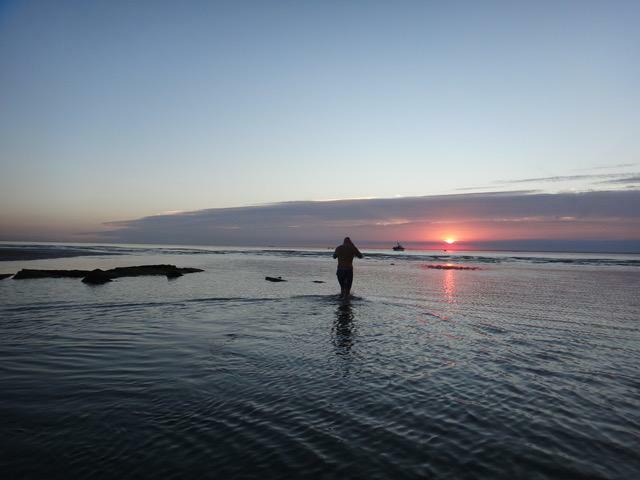 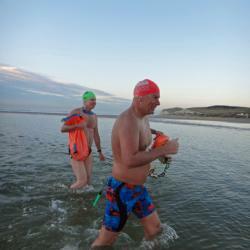 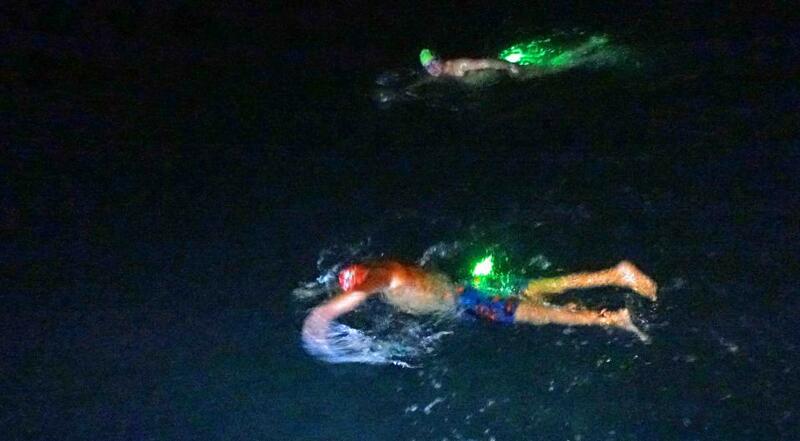 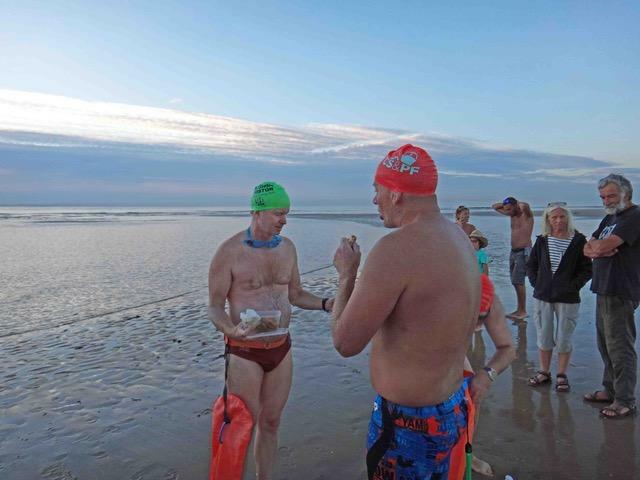 Stu set off from Samphire Beach at 02:48 early Friday morning, and gracefully reached France in 17 hours and 28 minutes. 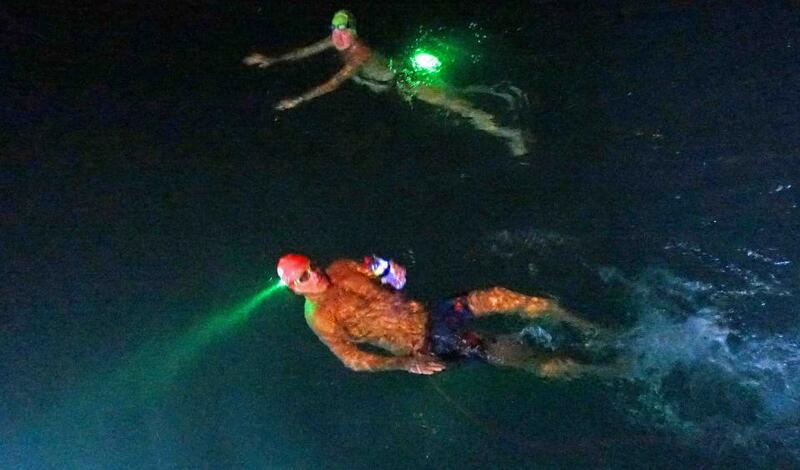 And it was at this point, where lesser mortals would say enough. 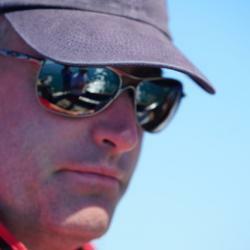 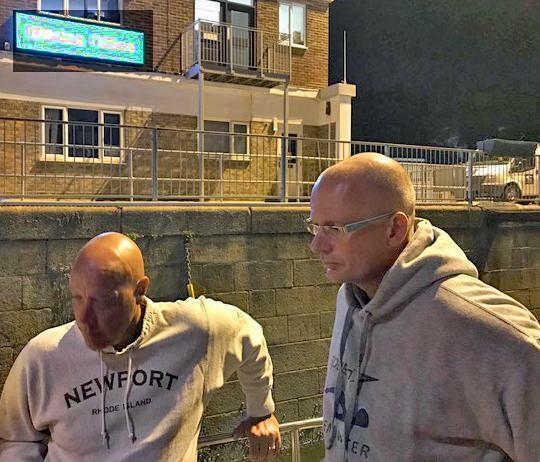 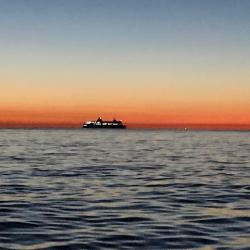 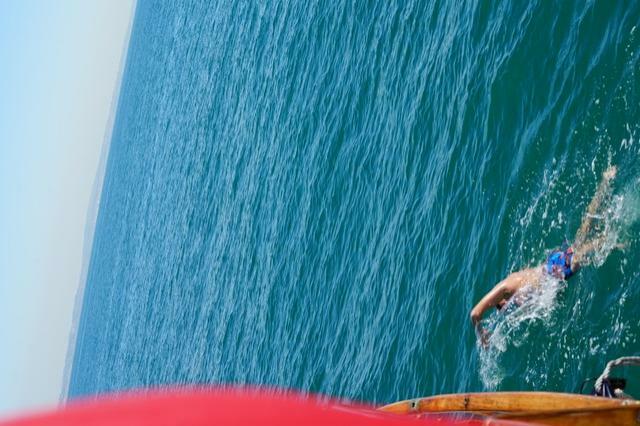 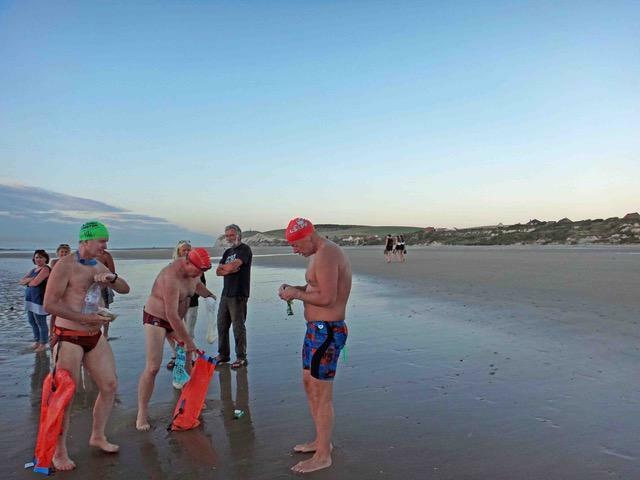 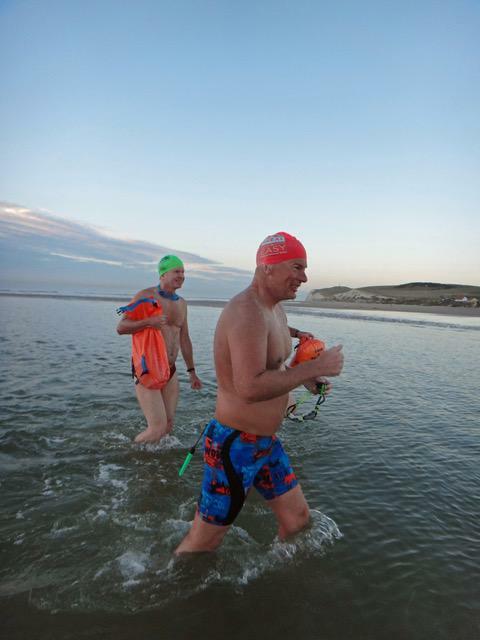 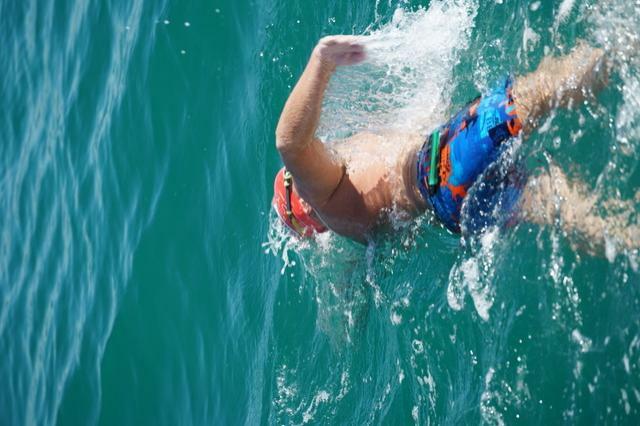 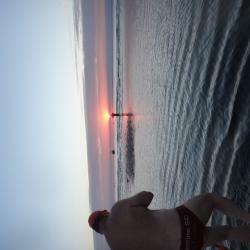 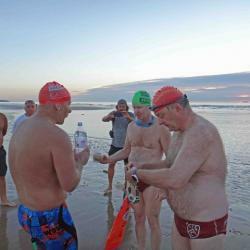 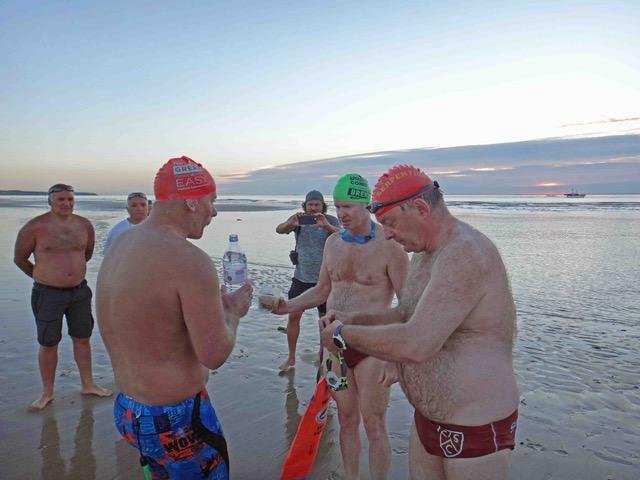 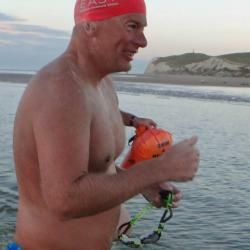 The hardest aspect of doing a two way, is getting past what most people regard as the finish line, and for Stu*, he decided to continue past the 21 mile mark in search of a double swim of the English Channel from England to France and back. 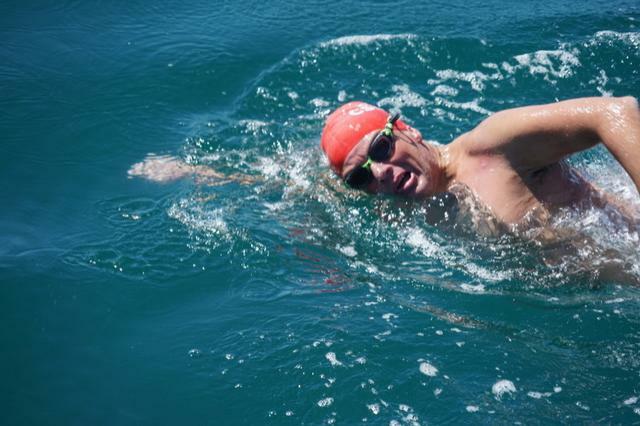 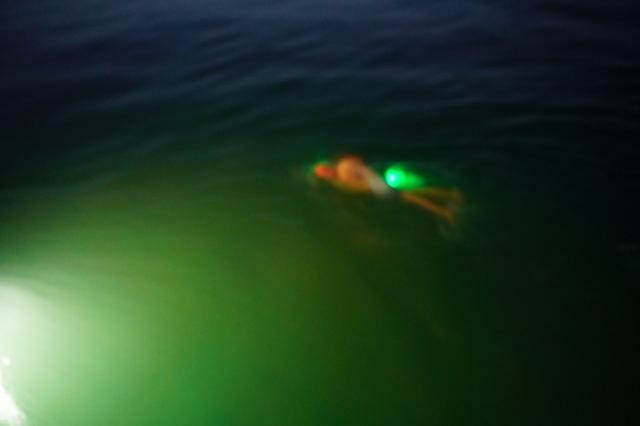 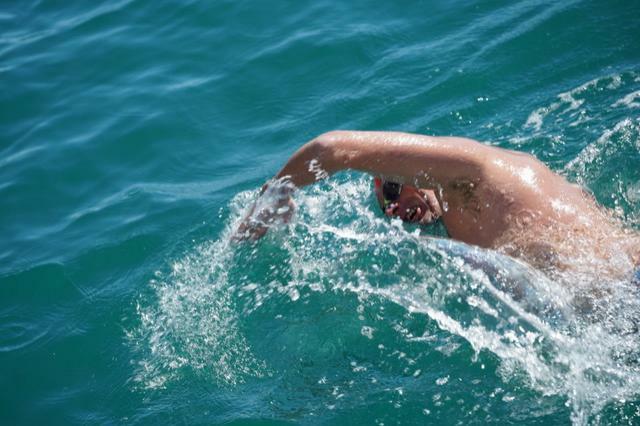 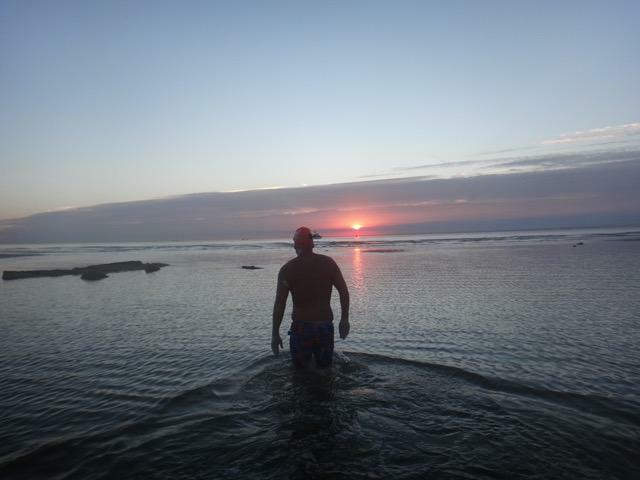 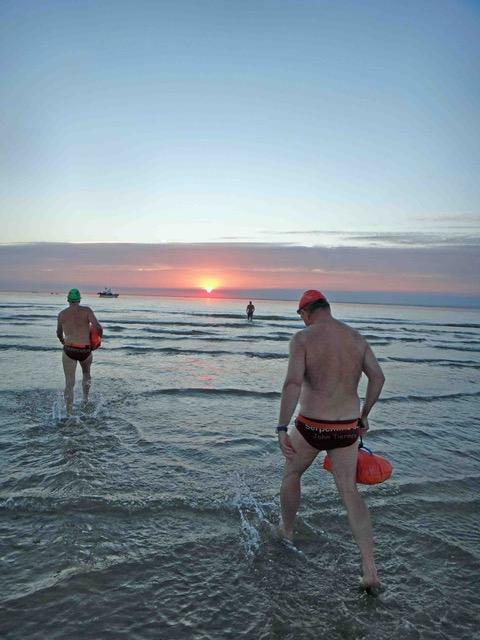 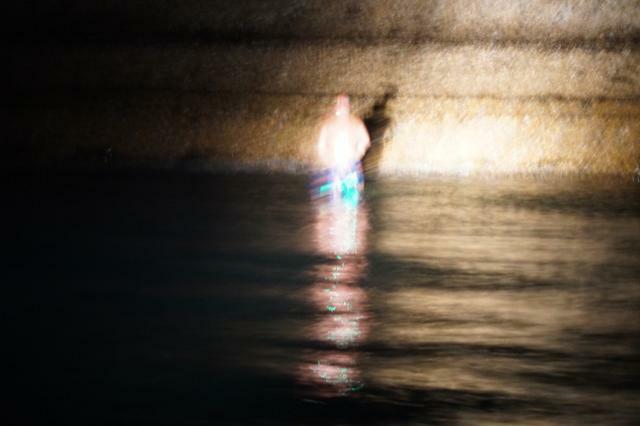 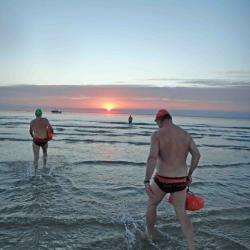 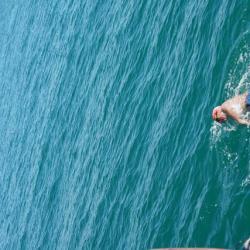 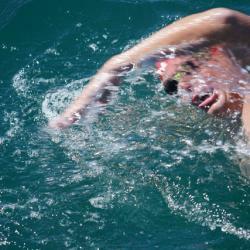 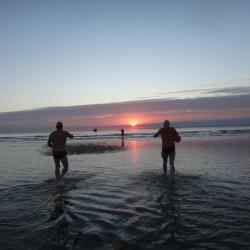 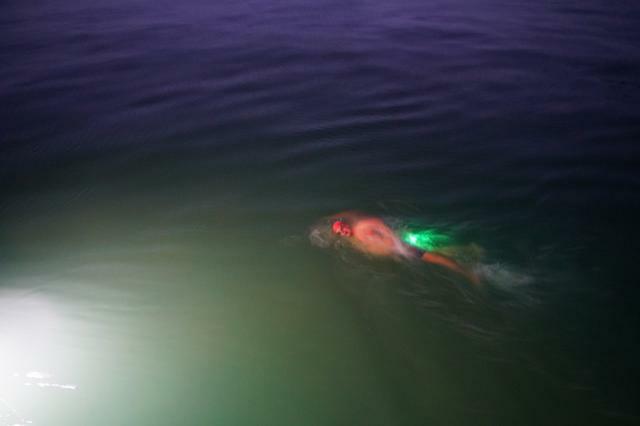 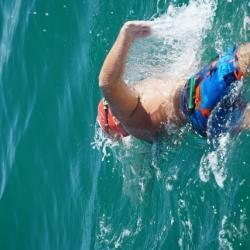 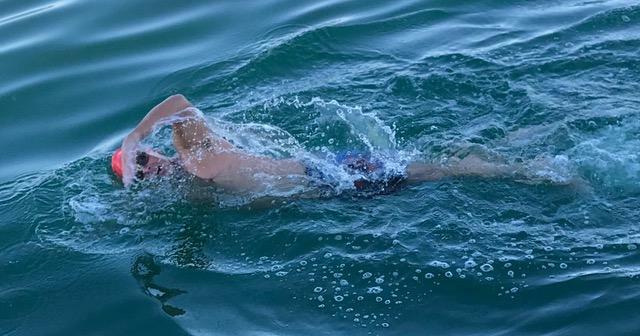 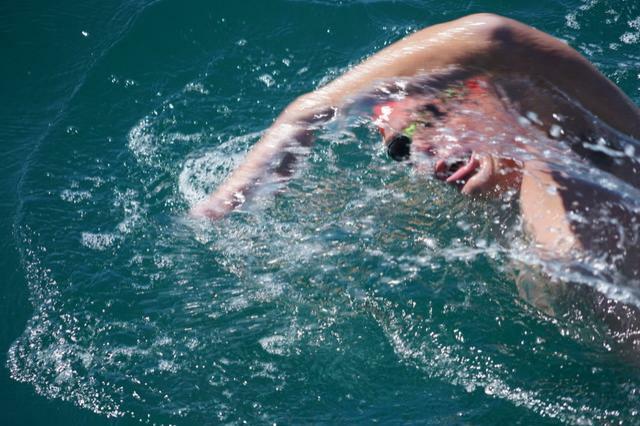 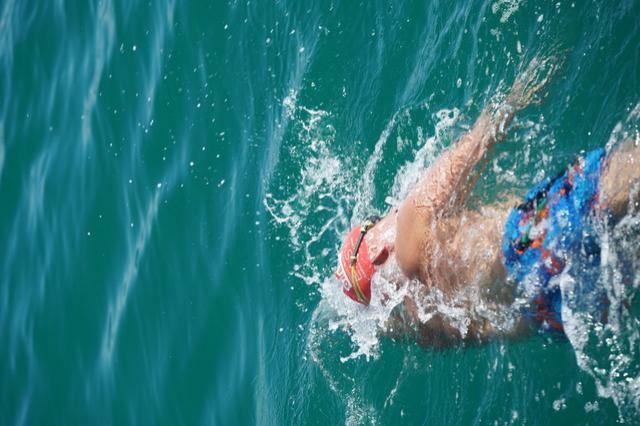 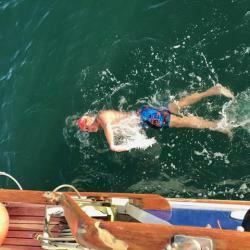 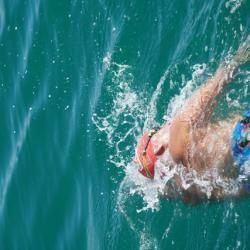 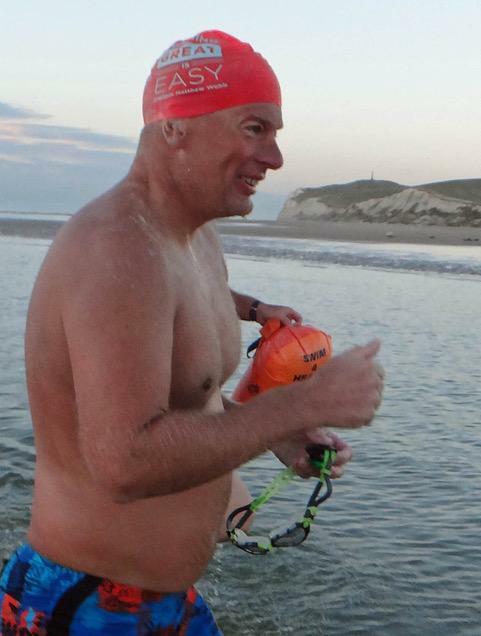 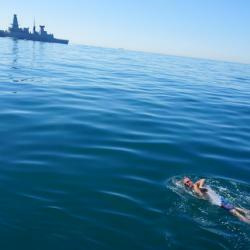 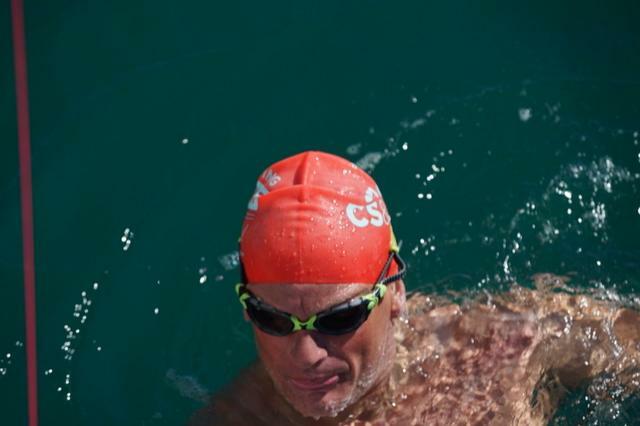 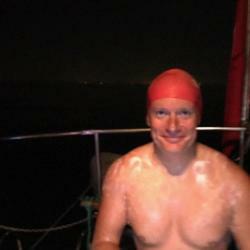 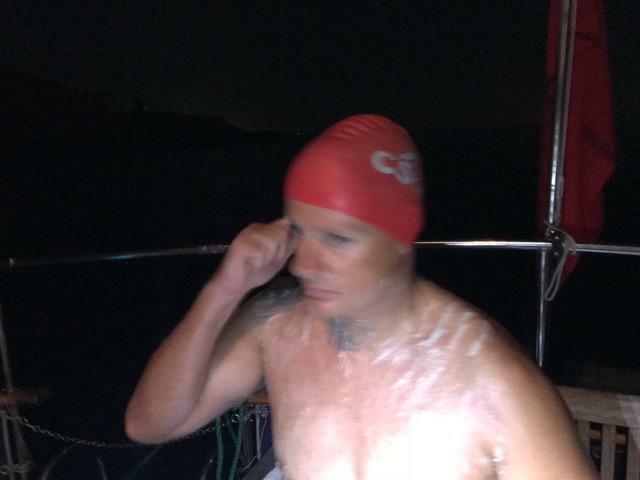 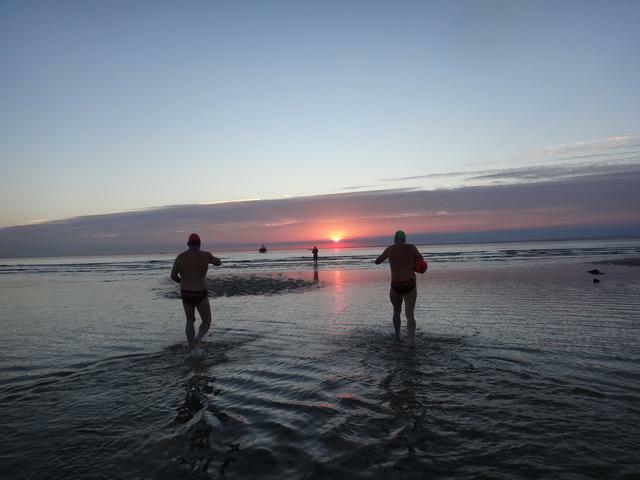 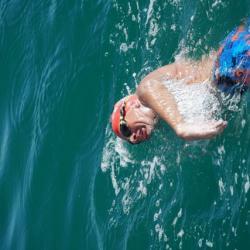 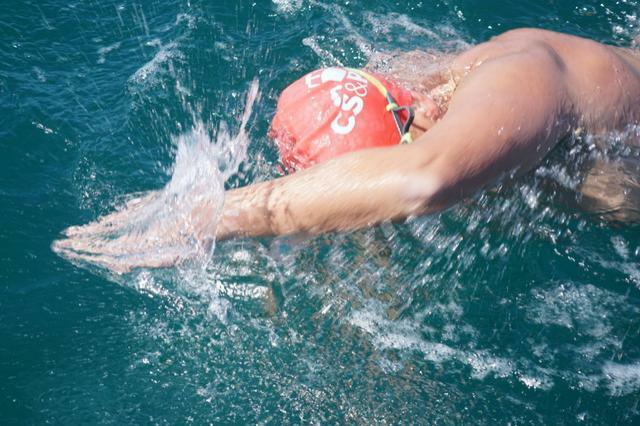 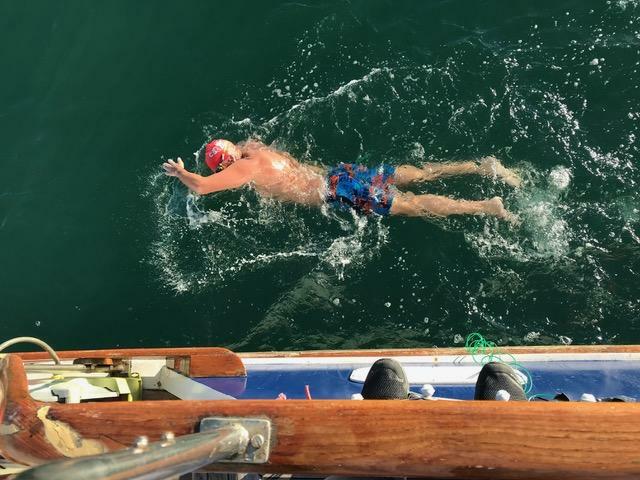 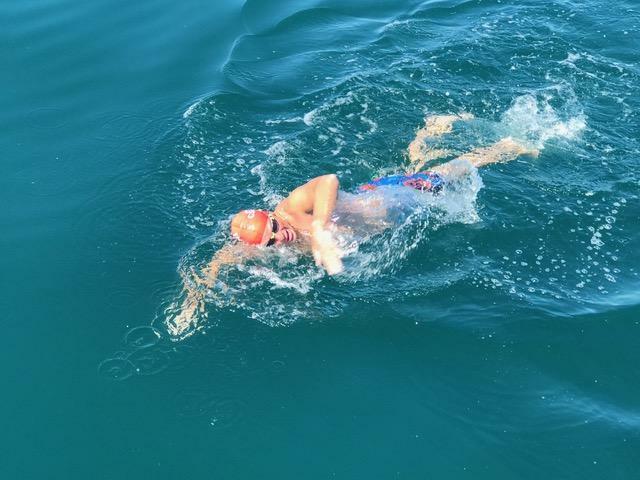 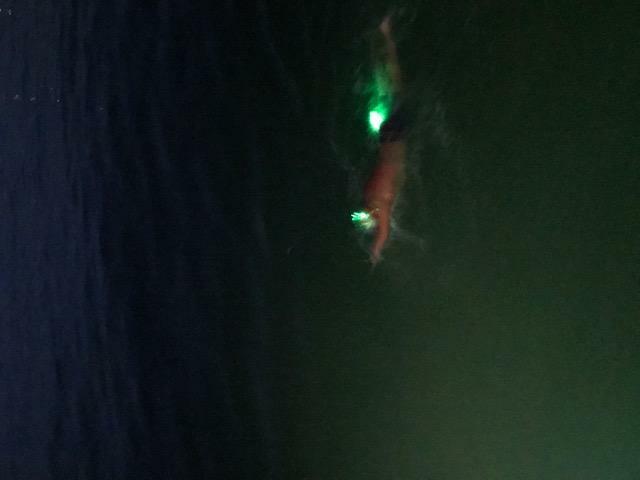 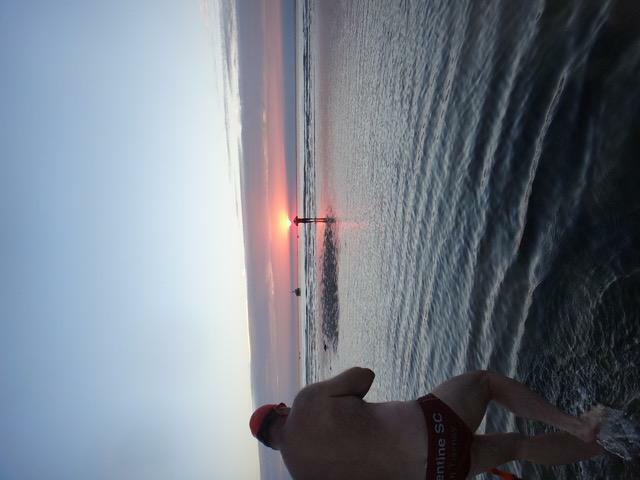 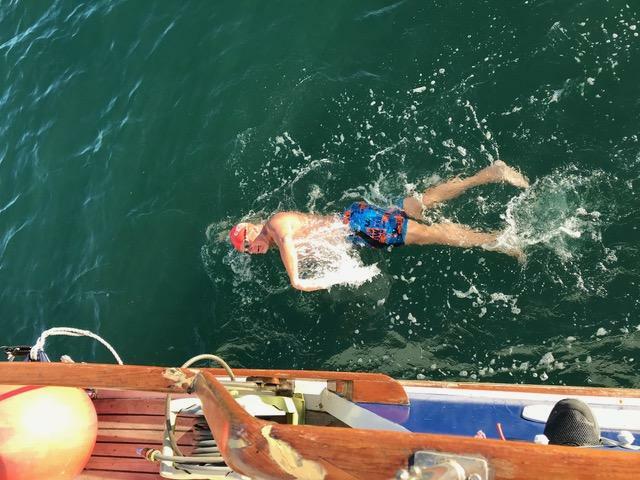 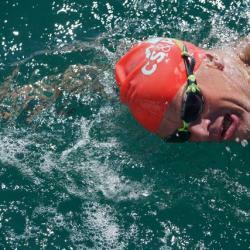 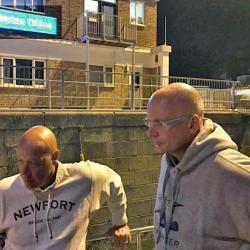 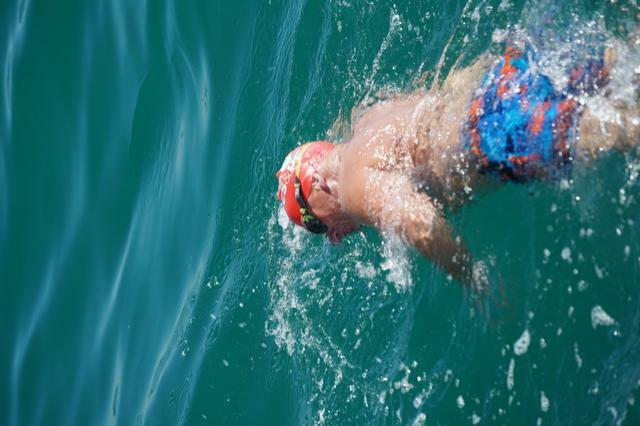 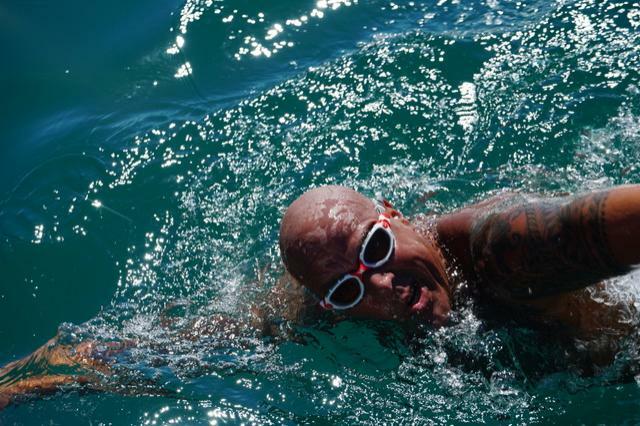 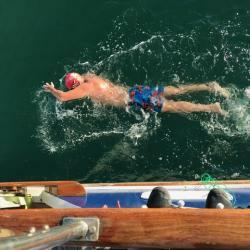 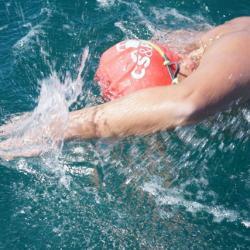 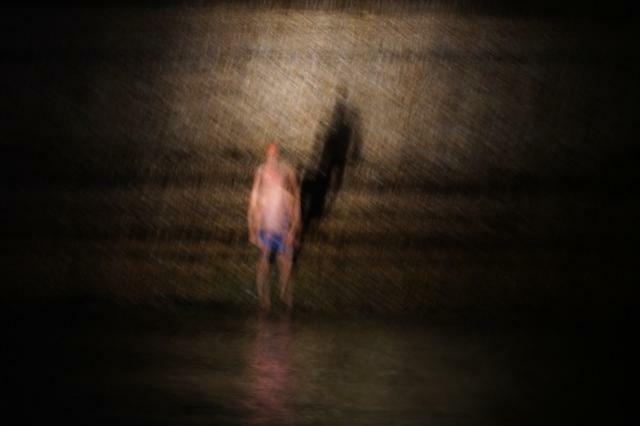 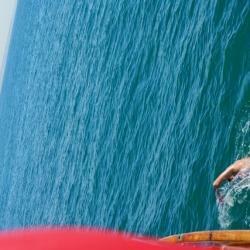 Stu*, according to 'English Channel Rules' returned to the water straight away, he applied some grease, ate some of his food made by Debs Bowman, and bravely set off for Dover on the second leg of a two way swim of the English Channel. 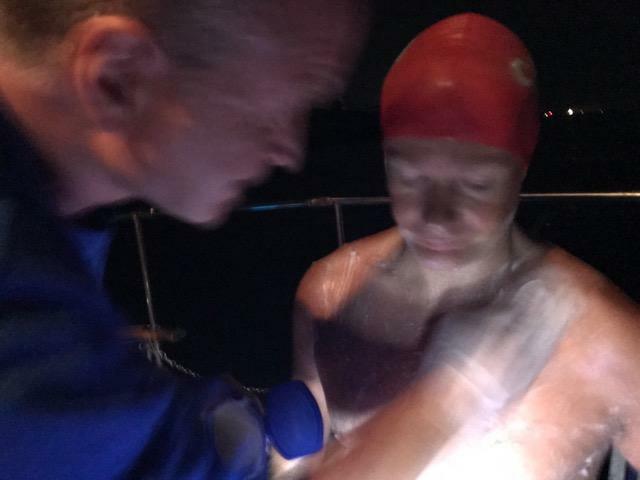 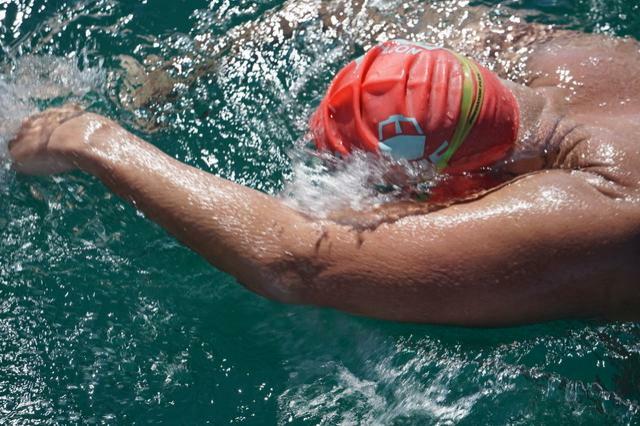 Our hero swam through sleep deprivation, severe wrist tendonitis which was visibly obvious in the form of a huge oedema, and the usual bouts of nausea that many swimmers suffer. 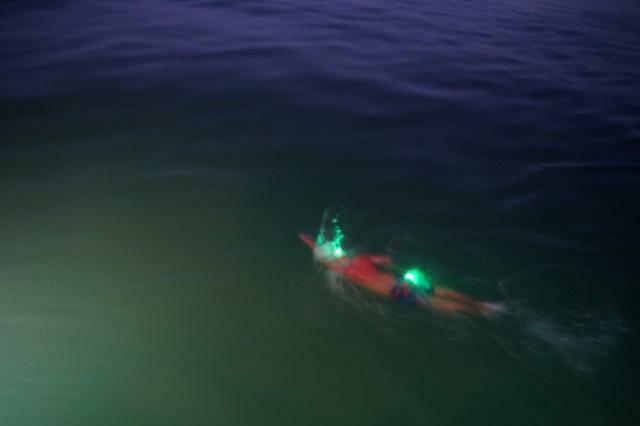 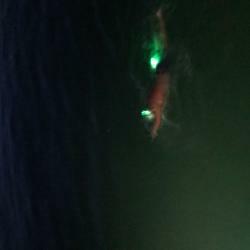 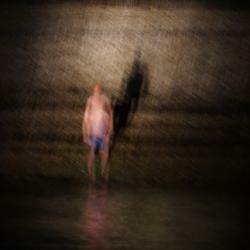 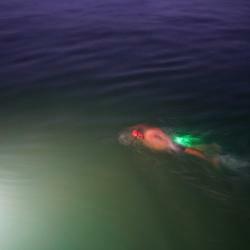 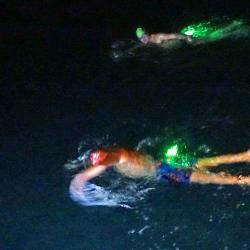 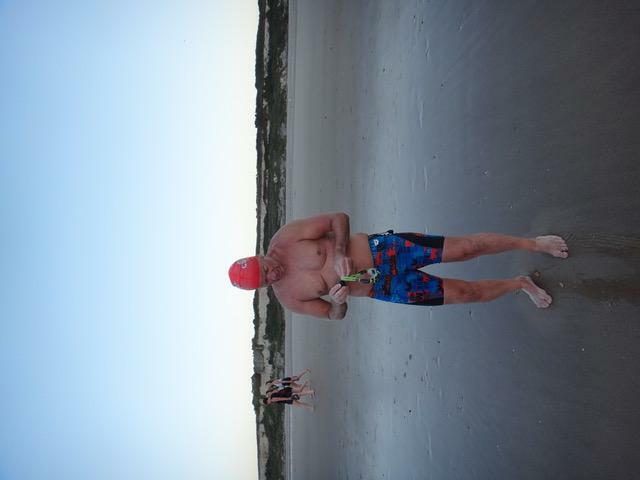 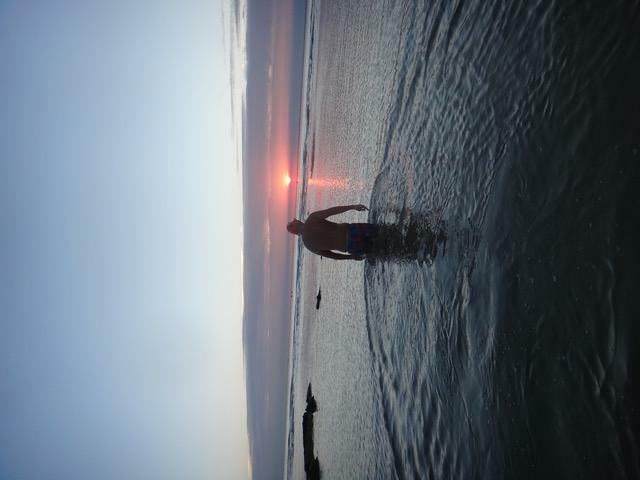 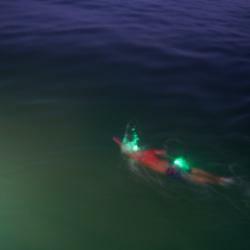 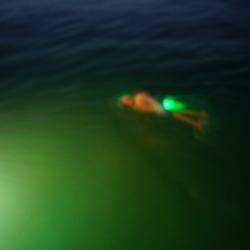 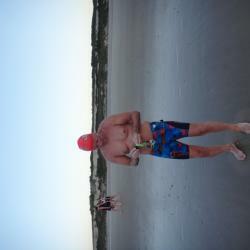 And many jellyfish, as personally testified by one of his support swimmers, who didn't cry at being stung. 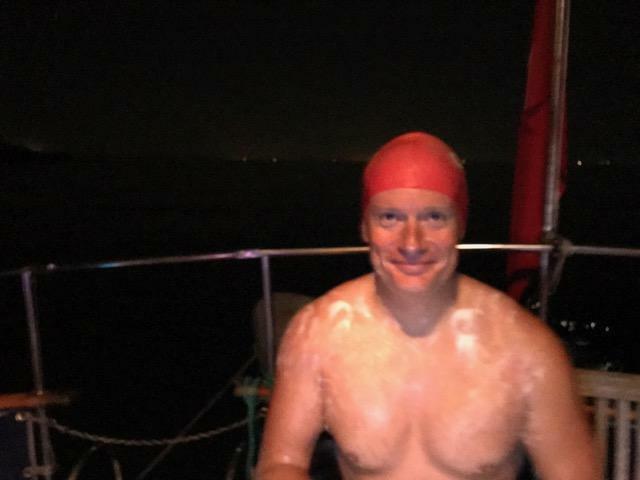 Never, was Stu* in the mind of giving up, and it was when the support crew decided what was best, that Stu came on board, a hero. 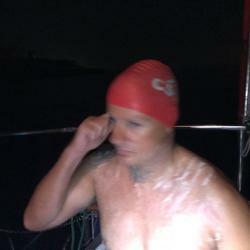 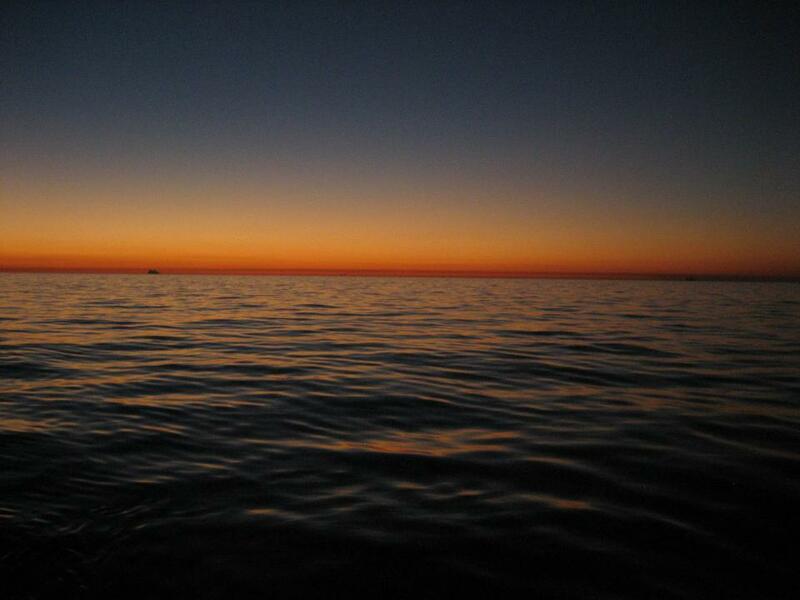 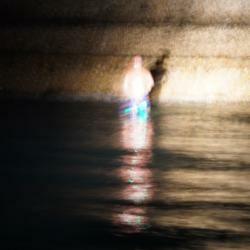 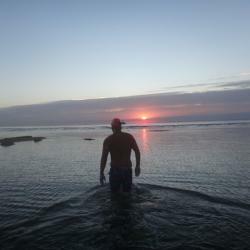 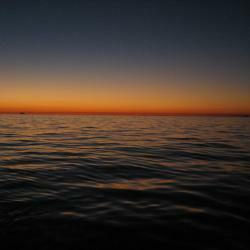 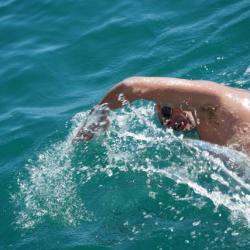 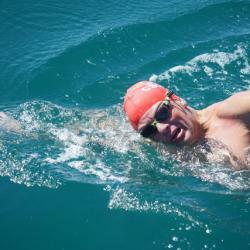 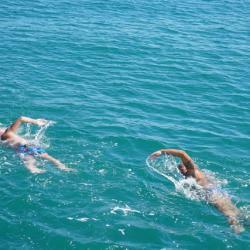 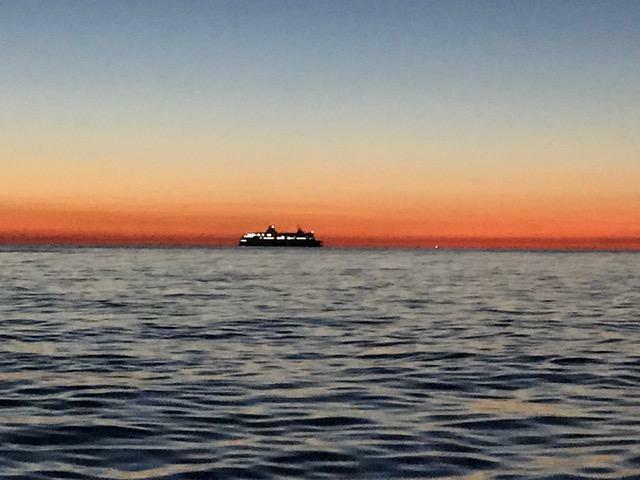 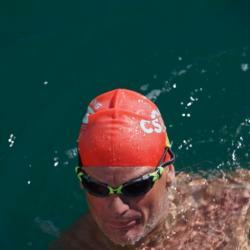 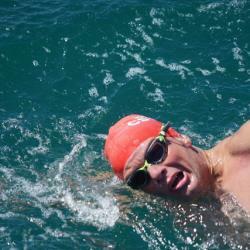 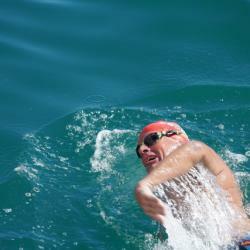 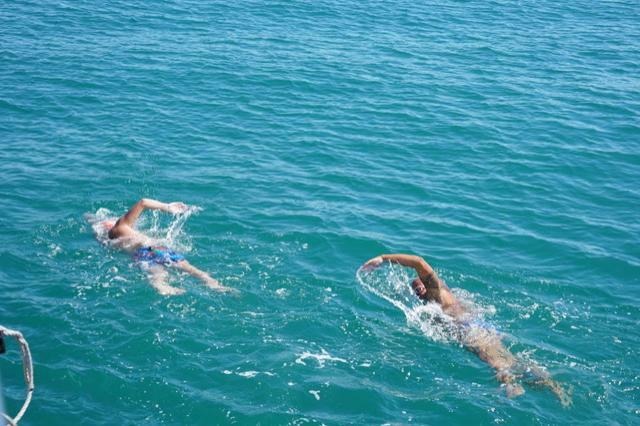 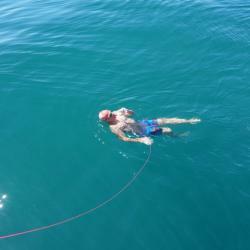 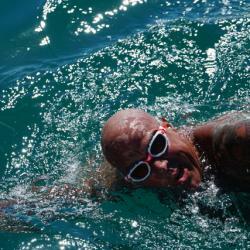 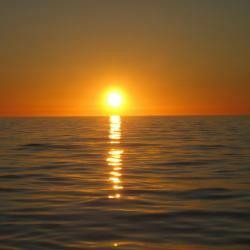 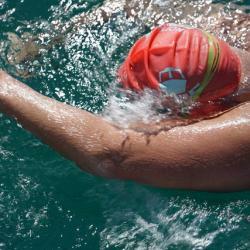 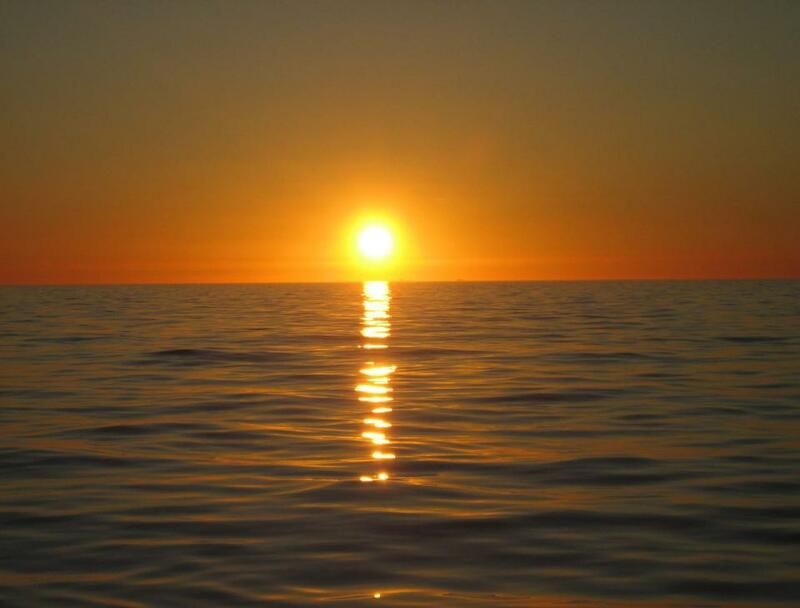 Stu had successfully swam to France, and back as far as the north east shipping lane. 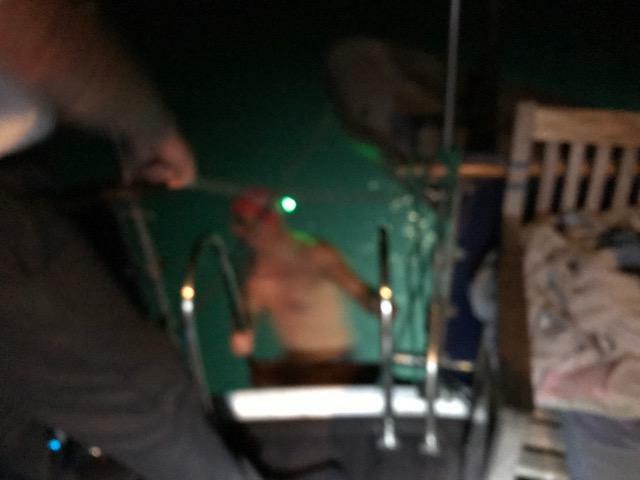 Not the double he desired, but if I was hanging off a cliff and needed someone to haul me up, then a hand free mobile call to Stu would be my first option; hands free definitely not. 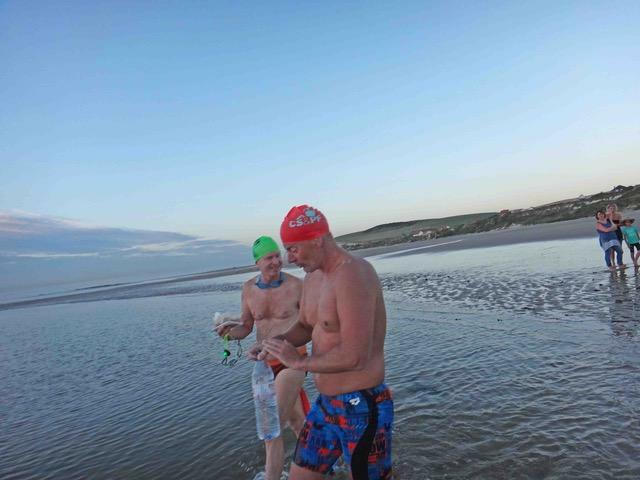 Stu's support crew included his mate Dean Browning, James Norton, Nick Adams and John Tierney. 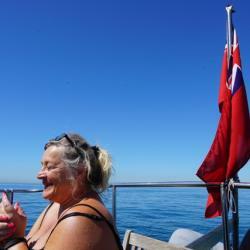 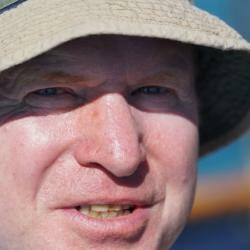 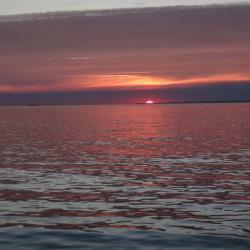 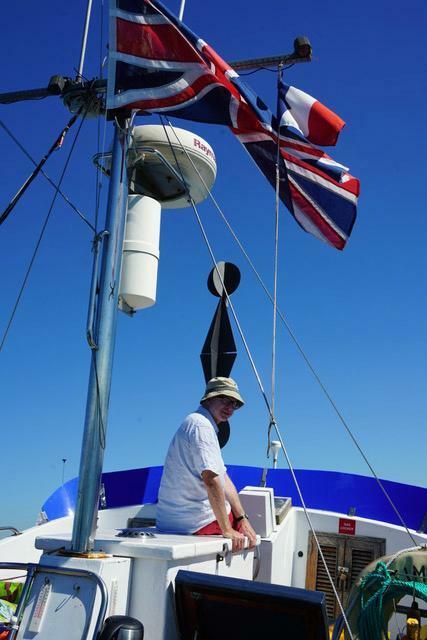 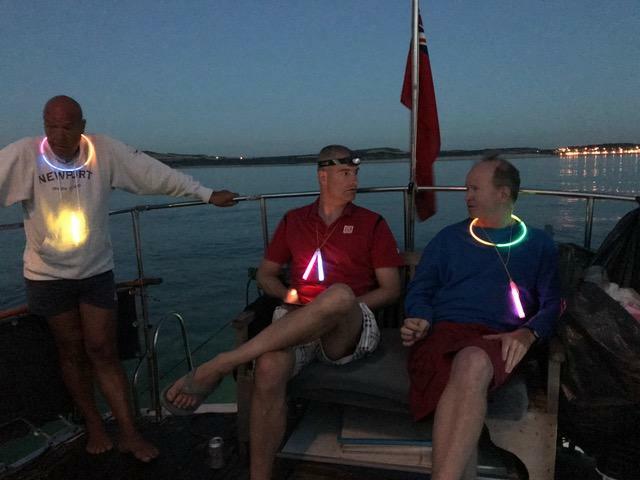 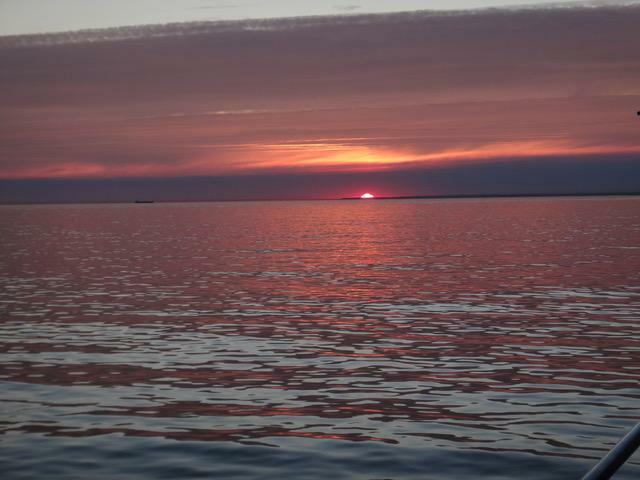 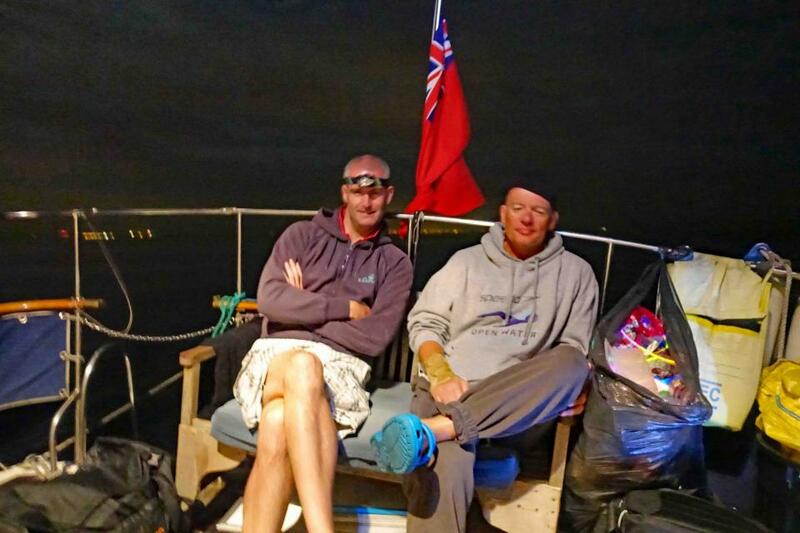 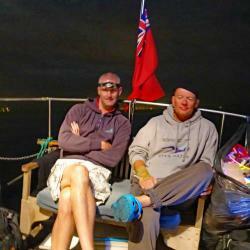 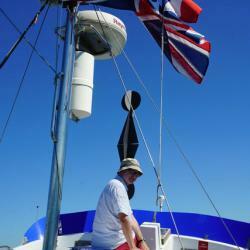 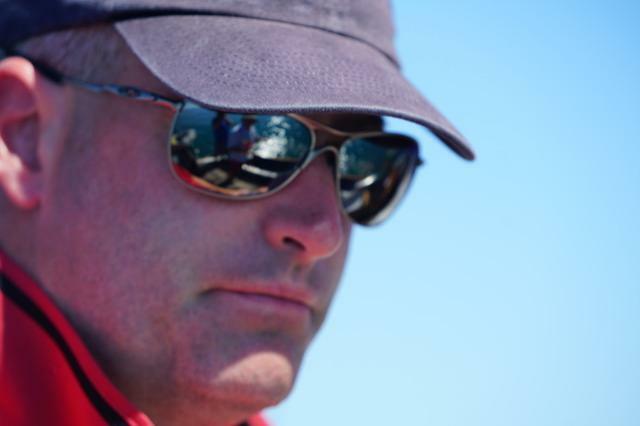 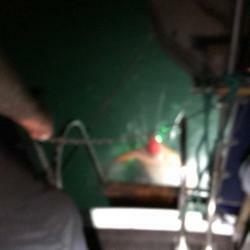 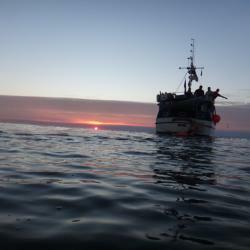 Thanks to Paul Foreman, the skipper of 'Optimist' and his crew, and also to the observers Carolyn and Matt.